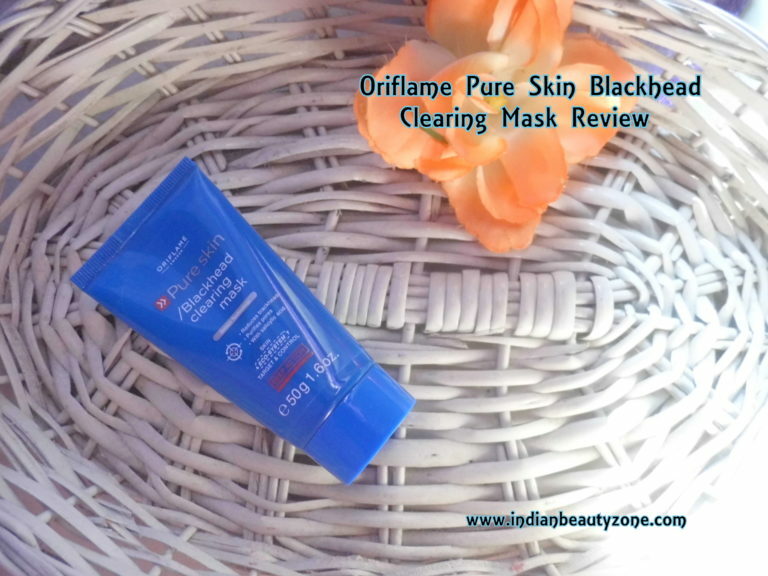 Oriflame Pure Skin Blackhead Clearing Mask, apply to face in a thin layer, leave for 5 minutes and rinse off. Avoid direct contact with eyes. This face mask helps you to keep your face clean and free from blackheads and leaves a soft and supple skin always. Use it regularly for best results. 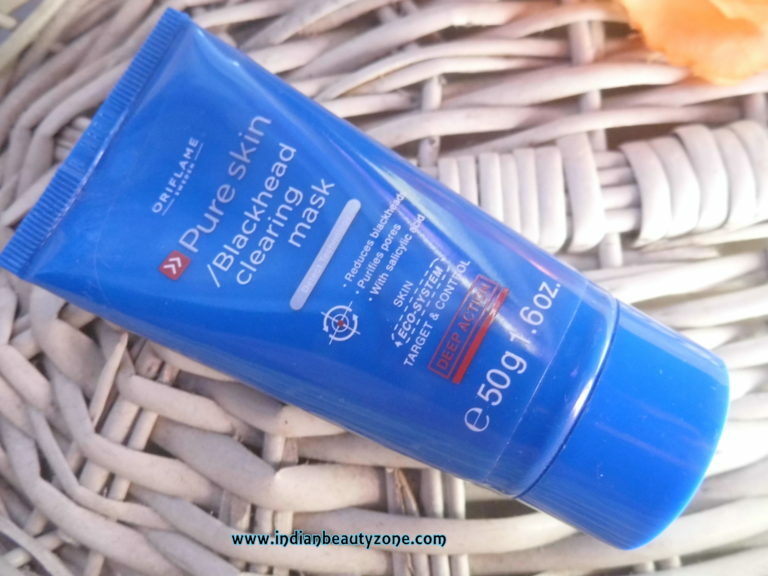 This face mask comes in a bright blue colour tube with a screw open top. It is handy to carry with us while travelling also easy to use. The texture of this face mask has bit granulated particles but they are very fine particles and it smells mild and good. The Colour of the face mask is white. I am using this face mask weekly once and I would say it gives amazing results. Every time after using it I feel my skin fresh and clean. As an oily skin girl my skin tend to have white and blackheads more often especially on the nose and near by cheeks. This face mask easily clears those unwanted zits within 5 to 10 minutes. 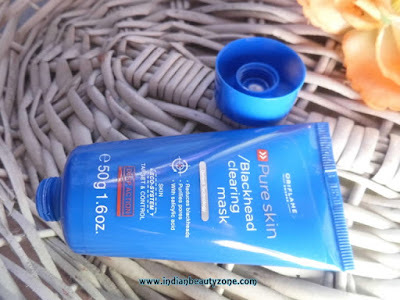 If you have old blackheads or stubborn blackheads then please don't expect this face mask would treat your problem. Because they need special treatment and regular facials to remove completely. I had an old and stubborn blackhead on my nose which was never reacted for my home remedies and I got rid of it when I took special oily skin control facial at a beauty saloon. It gave me such a pain while removing, luckily it didn't cause any scar. Coming to this face mask, it is mild and effective for regular cleansing process. The salicylic acid in it is really helpful and treat oily skin well. 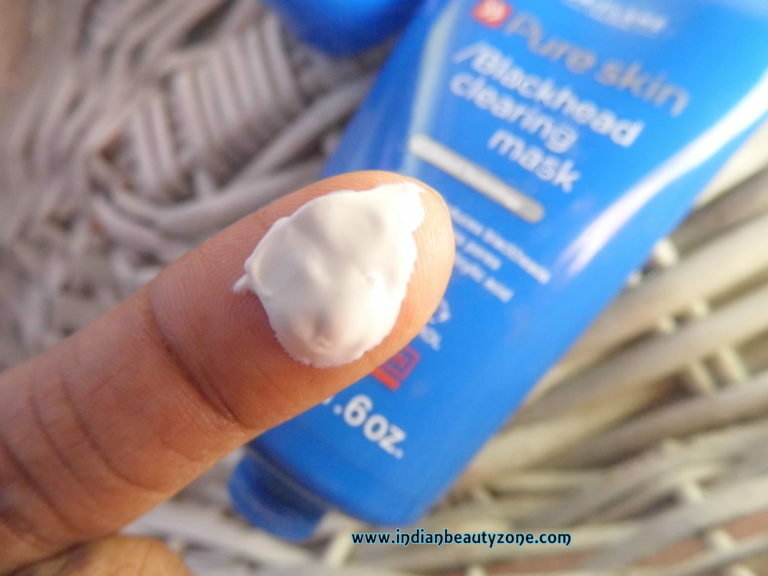 You can be confident for a no blackhead problem when you are using it regularly. It won't irritate the skin but yeah gives mild tingling feel when applied. 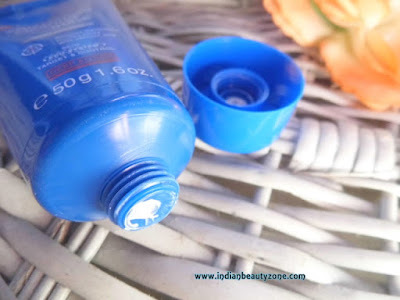 It never gave redness or other allergies to my sensitive skin. It leaves the skin soft and clean and of course fresh. I totally love this product. It clears new white and blackheads well. It leaves skin soft and clean. Very much useful for oily skin. Suitable for all skin including sensitive skin. Salicylic acid to control your sebum production. Oriflame Pure Skin Blackhead Clearing Mask is an effective product especially for oily skin people. You will love the results for sure.